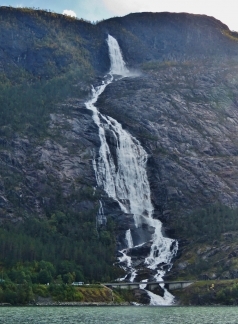 Langfossen gushes into the Akrafjorden from 2,008ft (612m) above, with a vertical drop of 400ft (122m). 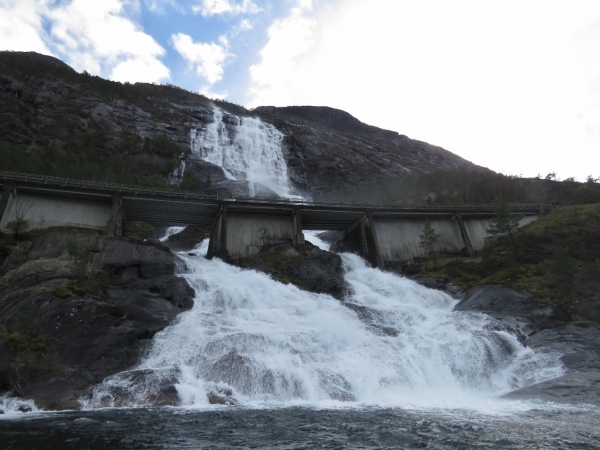 The waterfall was rated the best in Norway in the World Waterfall Database (and the best in the world using an earlier rating system). 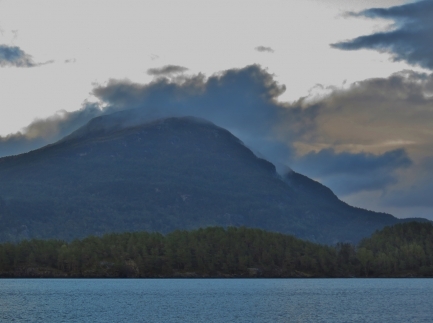 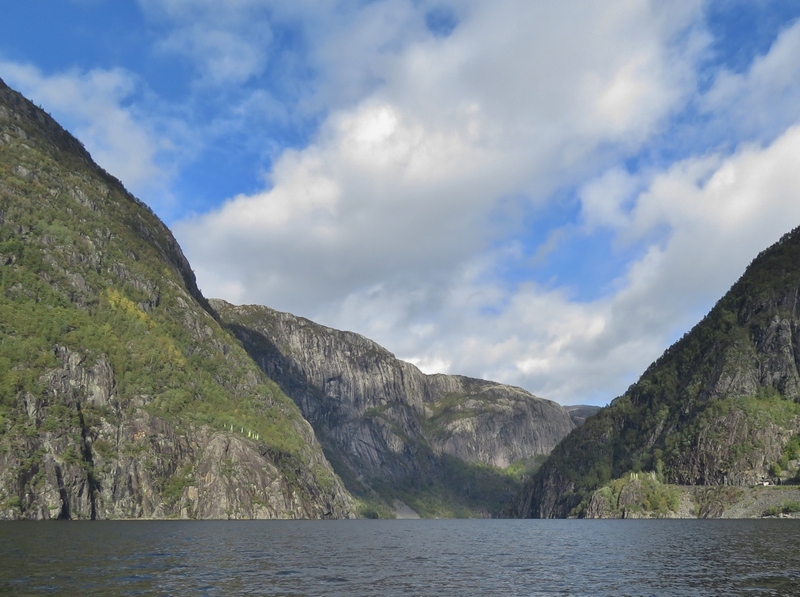 After a 60-mile run from Bergen to the Romsa Islands, the following day we made a 57-mile tender trip up Akrafjorden to view the spectacular Langfossen. 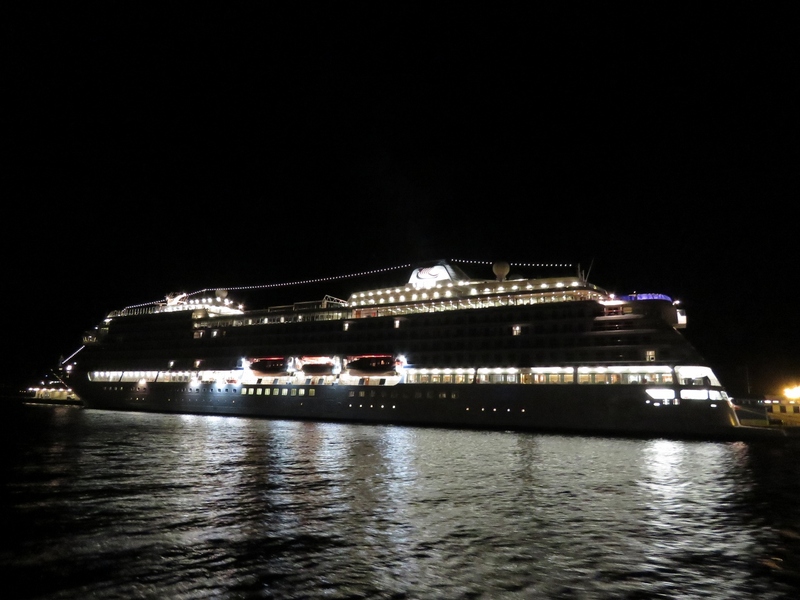 Passing the Bergin-registered cruise ship Viking Star on an early-morning departure from Bergen. 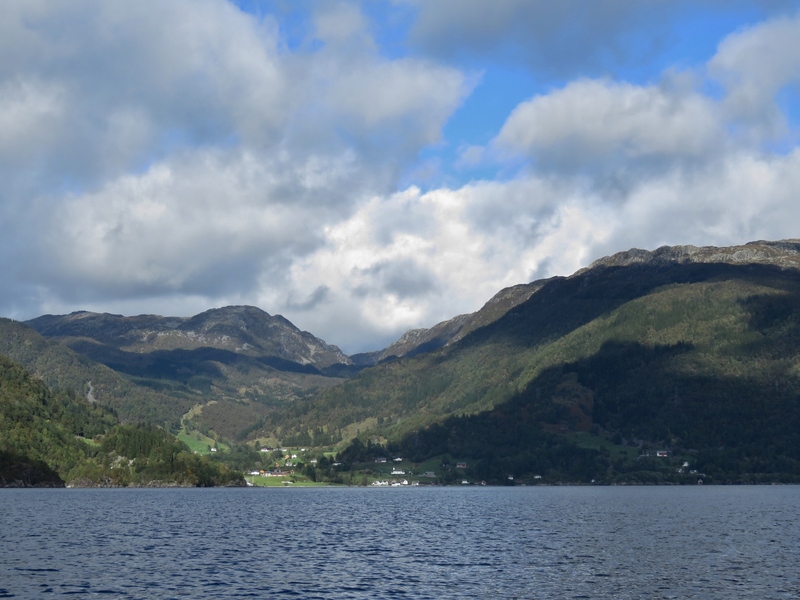 We’re typically up at 5am most days and generally will get underway immediately so that we can get in earlier to the next place and enjoy lunch or at least dinner there. 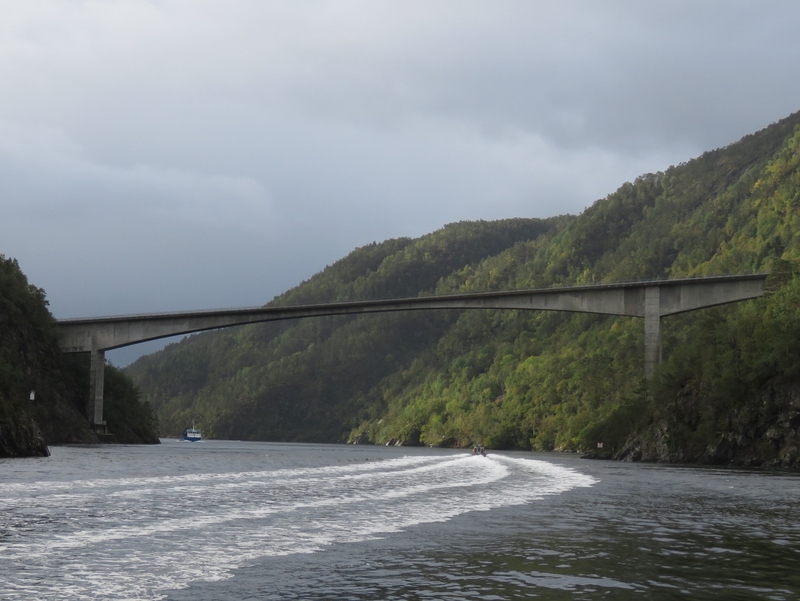 For most of our time in Norway, we had light no matter what time we got up, but now with the shorter days we’re usually departing in the dark. 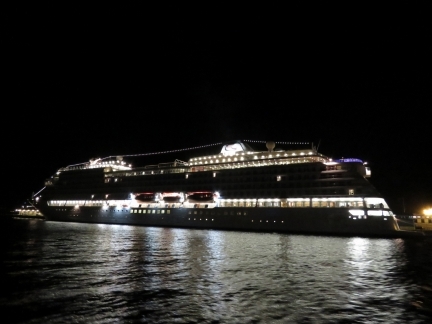 So long as we don’t have a difficult channel to pass through, running in the dark generally isn’t a problem. 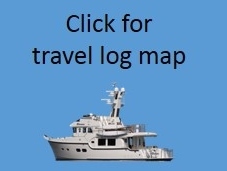 We always pre-plot our course for the day, so we just need to follow it while watching for other traffic and ensuring the navigation markers and other clues all match up with our chartplotter. 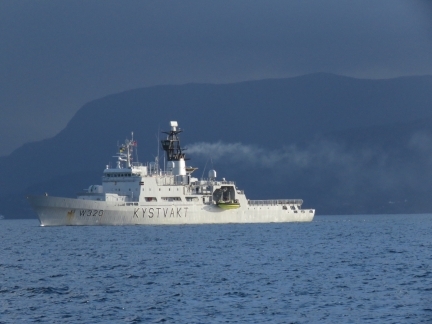 The 344.7 ft (105.05 m) Norwegian Coast Guard offshore patrol vessel Nordkapp crossing Bjornafjorden. 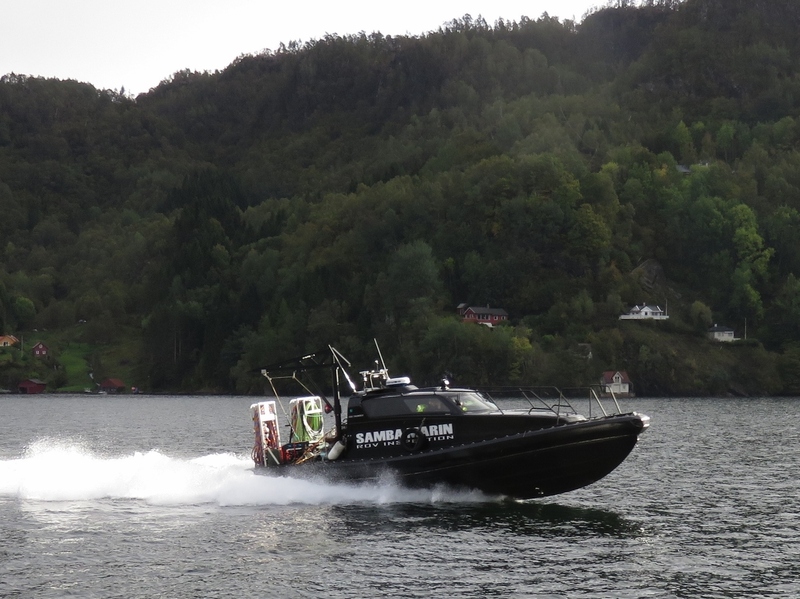 Samba Marin‘s Fox Hunter dive boat passing us at nearly 40 knots. The company specializes in support for fish farms and other marine industries. 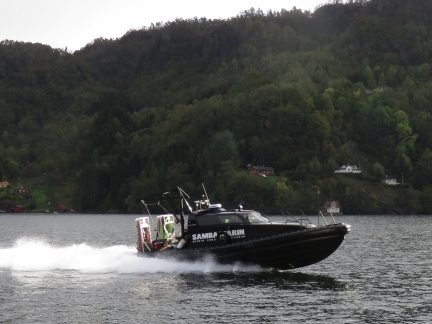 This boat is well-equipped for commercial diving. 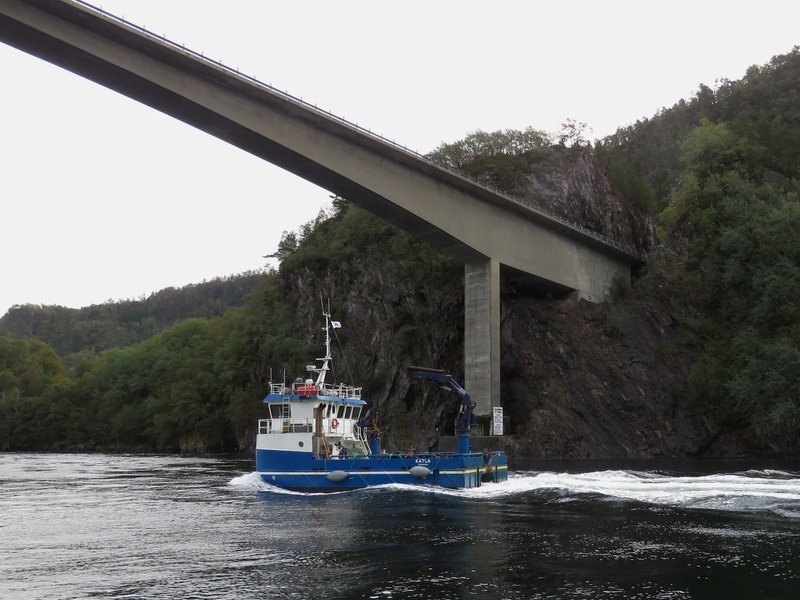 The work boat Katla passing under bridge across Lukksundet. We’ve seen a lot of these almost-square-shaped work boats in Norway. 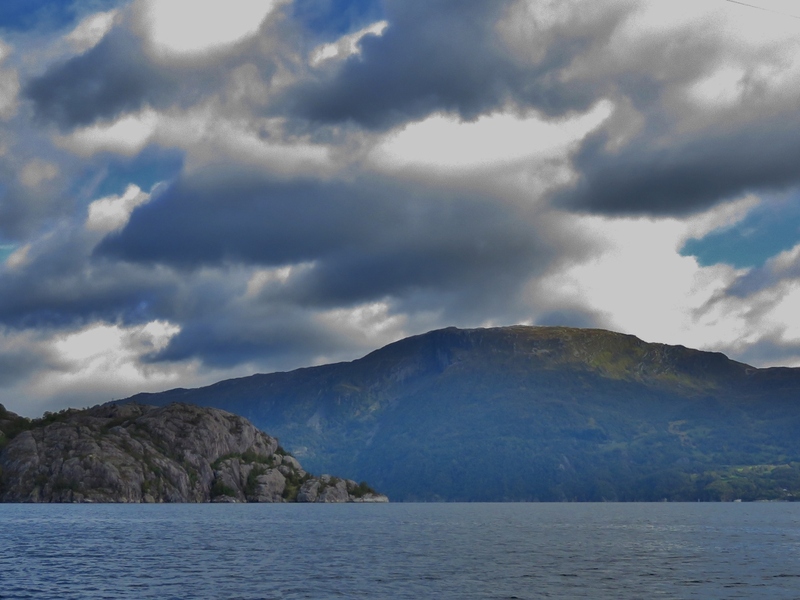 The view east from our anchorage at the Romsa Islands. 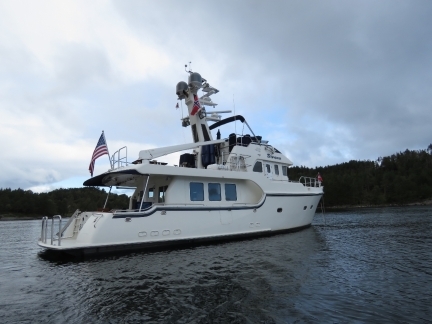 After a few days in town, we like to spend some time at anchor to catch up and enjoy some solitude. At anchor in the sheltered Romsa Islands. 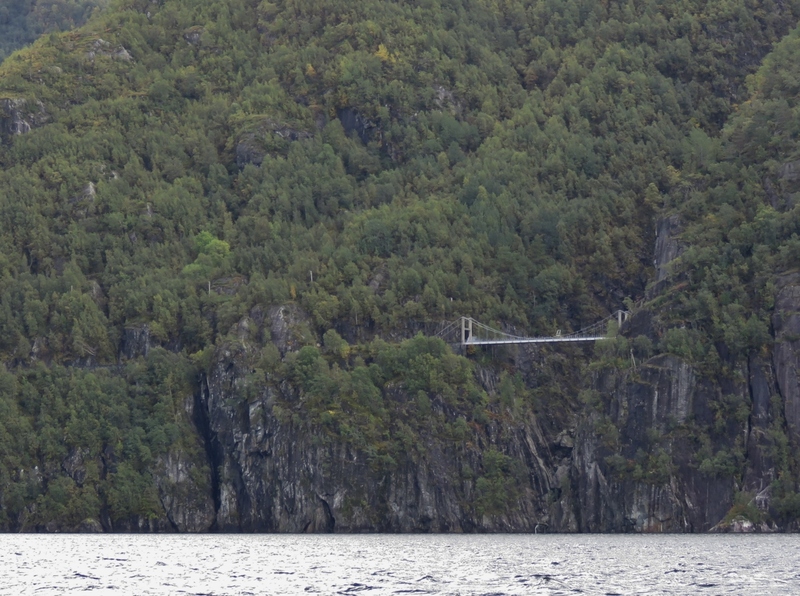 Looking up Akrafjorden on a 57-mile tender trip from the Romsa Islands to Langfossen waterfall. Conditions were a little rough to reach the mouth, but the tender did fine and now we’re in relatively sheltered and smooth waters. 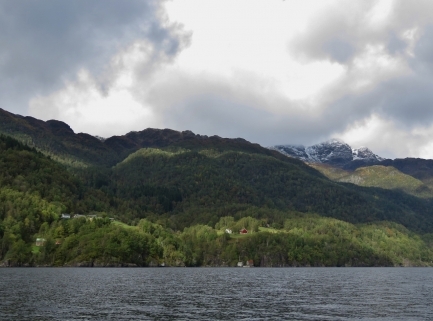 The village of Akra nestled beneath steep mountains on the north side of Akrafjorden. Trolljuv bridge, strung 377ft (115m) above the water, is another tunnel-to-tunnel suspension bridge. Thrill-seekers can bungee jump from it with Strikkhopp og Sant AS. Fresh snow on the mountains tops to our north. Winter is coming. 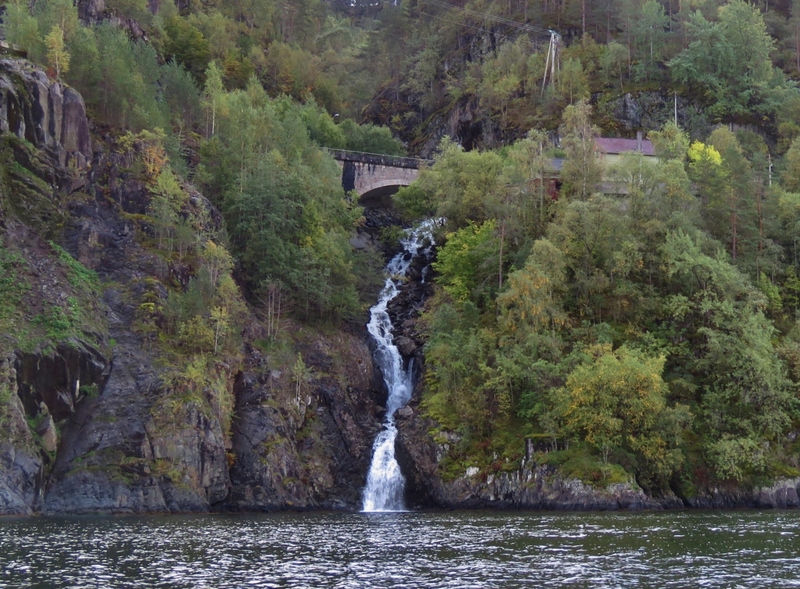 Waterfall passing under a bridge along the old Akrafjorden coastal road. 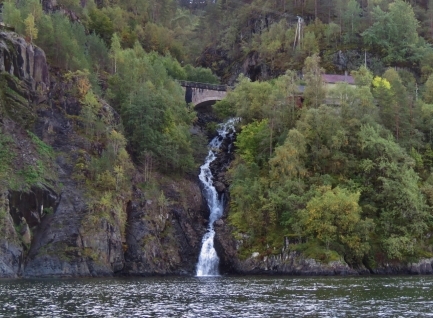 The new road passes through the 1.5 mile (2.4km) Markhus tunnel behind. Our goal for the tender trip: spectacular Langfossen, rated the best waterfall in Norway in the World Waterfall Database (and the best in the world using an earlier rating system). 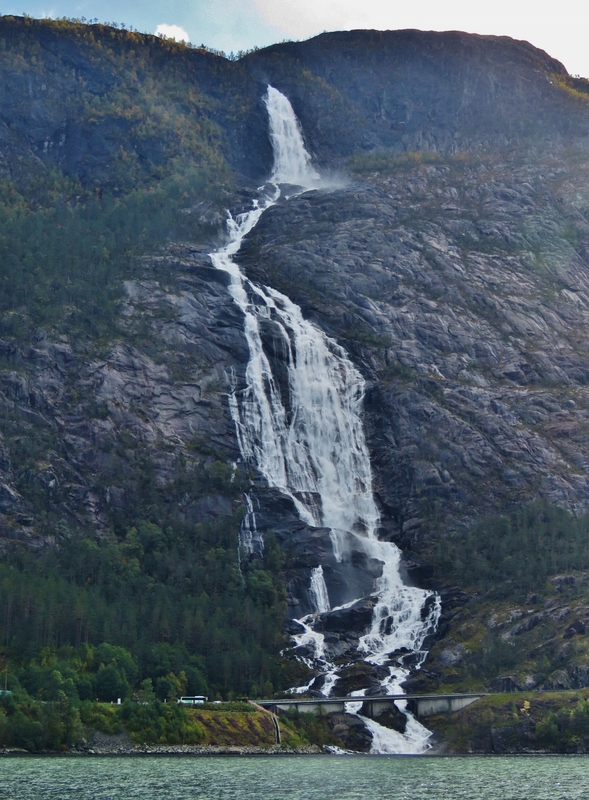 The waterfall gushes into the Akrafjorden from 2,008ft (612m) above, with a vertical drop of 400ft (122m), dwarfing the tour bus parked below on the left. 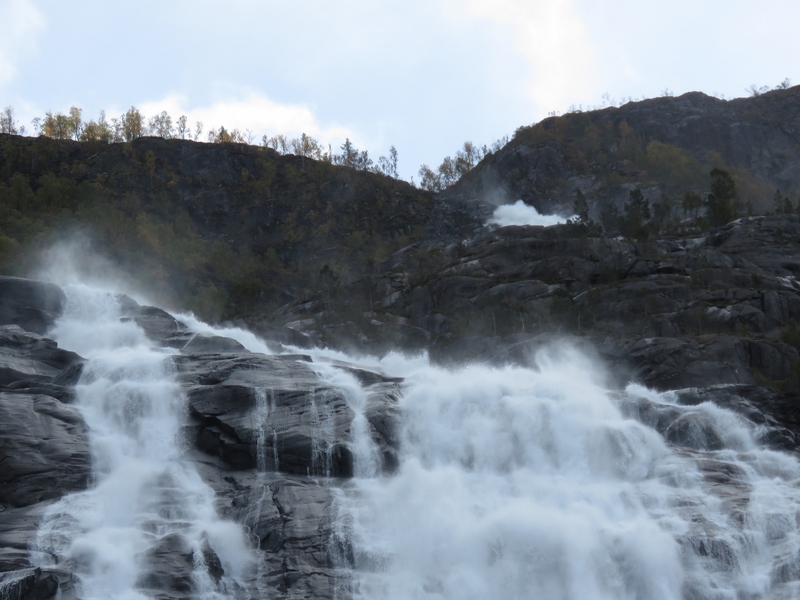 Water exploding in a sea of spray high up Langfossen. 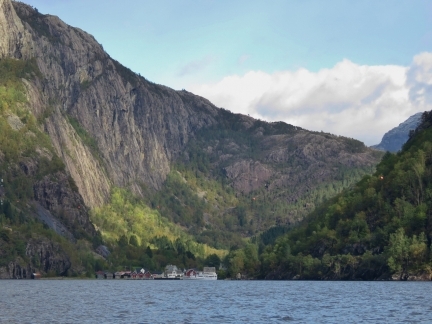 Looking towards the head of Akrafjorden from Langfossen. The village of Fjaera beneath steep cliffs at the head of Akrafjorden.